China and France are going to the moon together and beyond, as space authorities from the two sides signed a new agreement in a bid to step up their cooperation in the fields of space exploration on Monday. On the occasion of the state visit to France of Chinese President Xi Jinping, heads of China National Space Administration (CNSA) and France's Centre National d'études Spatiales (CNES) signed an agreement on future space cooperation between the two nations at the Elysée Palace in Paris, according to a CNES press release. 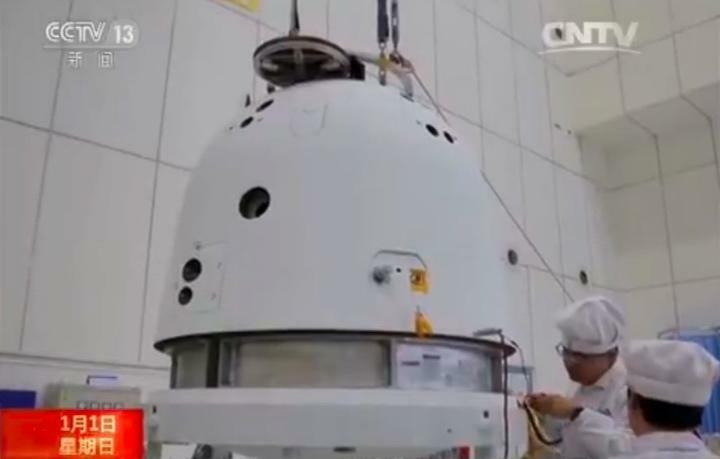 China will fly French experiments on its Chang'e-6 mission to return samples from the Moon in 2023-24, said the press release. Besides, the two state space agencies have started work on their next joint Earth-observation mission, with focus on ocean salinity and soil moisture, and at the same time, the two nations are pursuing the roll-out of the Space Climate Observatory to deliver satellite data in support of tracking climate change and its impacts, according to the CNES. In October 2018, China-France Oceanography Satellite, known as the CFOSat, designed to observe ocean-atmosphere exchanges, particularly between winds and waves, was launched from the Jiuquan Satellite Launch Center, Northwest China's Gansu Province. Calibrated CFOSat data will be available to the international science community in May this year, said the CNES. Jean-Yves Le Gall, CNES president, told the media on the sidelines of the Monday proceedings that "beyond the success of our joint CFOSat oceanography satellite and projects already in development, with the SVOM astrophysics mission to study high-energy phenomena and CardioSpace 2 in the domain of space medicine, the agreement signed today in the presence of our highest authorities is a historic one, since France will be going to the Moon with China!" "This demonstrates the excellence of our cooperation in science and technology, and confirms the mutual trust we have forged to develop ambitious space projects," the CNES official noted. Despite external constraints when it comes to space cooperation with China, the French side has had a longstanding, close collaboration with China in the field, and achieved a series of successes in the aspects of sharing space orbit data, aero engine design, satellite key component design and production, said Sun Yuming, Minister Counselor for Science and Technology at the Chinese Embassy in France, Science and Technology Daily reported on Tuesday. According to Sun, the two sides will continue to push forward deep cooperation in the domains including space station, lunar and Mars exploration and space science, as well as jointly implement the Paris Agreement. "A big China-France space cooperation potential also lies in the building of Moon village, an international program still under discussion," Deng Yulin, an International Academy of Astronautics academician and a professor with the Beijing Institute of Technology who is currently on an academic trip to Paris, told the Global Times. China and France are complimentary to each other in the space exploration domain, with China showing significant strengths in fields including lunar exploration and building of its own space station in the near future, and France excelling in developing certain research payloads, Deng explained.